The increasingly complex business environment has demanded the Company to always keep up a strong implementation of Good Corporate Governance (GCG). Not only it allows the entire organs to perform in accordance with the Company’s business direction, GCG has also helped create a culture and values that not only proves to give benefit to the company, but also to all stakeholders. In an effort to align those interest with the Company’s objectives, the Company always adheres to the five principles Governance in its day-to-day business activities. The fives Principles are. Accountability is one of the main prerequisites in order for the Company to achieve success and sustainable performance. Therefore, the Company’s is managed on a corporate governance structure where each existing organ has clear roles and functions in order to synergize with one another. Every company is responsible for all activities it carries out and must comply with all applicable laws and regulations including its own Articles of Association, Limited Liability Company Act, the Capital Market Authority and all regulations passed by the Indonesia Stock Exchange where the Company’s shares are listed and traded. As a good corporate citizen, the Company also observes its responsibility towards the society and the environment while providing benefits. The Company realizes that the surrounding communities also have a role in maintaining the Company’s business sustainability in the log run. This responsibility is embodied in Corporate Social Responsibility (CSR) programs through community development and environmental conservation activities. GCG implementation will go well if a company is managed independently to ensure no particular organ dominates or intervenes other functions of the Company. Based on this principle, the Company should be managed independently by professionals. The Company has a Code of Ethics in place that is more specifically set up on the implementation of independence in order to prevent conflict of interest so that any business decision can be made objectively. Every company must also base its operations on the principle of Equality and Fairness. In this regard, the Company has made a broad access to information available to all stakeholders through various communication media. Internally, the Company provides equal opportunity for new employees and opens up career opportunities for each one of them regardless of race, culture, religion, gender, or physical condition. Menerima dividen saham dengan syarat dan ketentuan sesuai dengan keputusan Rapat Umum Pemegang Saham (RUPS). Ikut berpartisipasi dalam mengambil keputusan di dalam RUPS berdasarkan dengan syarat dan ketentuan yang berlaku dan Tata Tertib RUPS. Menerima informasi mengenai Tata Tertib RUPS dan prosedur voting di dalam RUPS. Meminta secara tertulis kepada Perseroan agar diselenggarakan RUPS apabila memegang saham minimum 10% (sepuluh per seratus). Mengusulkan acara/agenda RUPS apabila memegang saham minimal 10% (sepuluh per seratus). 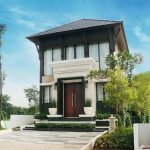 Untuk menciptakan ketenangan serta kenyamanan dalam bekerja dan berusaha Perseroan telah menyusun Peraturan Perusahaan (“PP”). Hak, kewajiban, dan tanggung jawab Perusahaan dan Karyawan disusun dengan jelas di dalam PP dimana kedua pihak saling menghargai, saling menghormati, saling mempercayai, dan saling bekerja sama. PP juga memberi kebijakan mengenai kesehatan, keamanan, kesejahteraan Karyawan dan juga pelatihan dan pengembangan bagi Karyawan. PP tersebut secara periodik ditelaah oleh Perusahaan. Mendapat upah/gaji sebagai imbalan atas melakukan pekerjaan. Mendapat upah/gaji lembur untuk kelebihan jam kerja yang telah ditentukan dalam PP. Mendapatkan penggantian biaya kesehatan sesuai dengan PP. Menerima semua bentuk Tunjangan sesuai dengan PP. Mengemukakan pendapat, saran dan usul yang membangun perbaikan kinerja dan kemajuan Perseroan. Mendapat kesempatan berkarya sesuai dengan ketrampilan dan kompetensi di dalam Perseroan. Mengajukan pengunduran diri sesuai ketentuan yang berlaku dalam PP dan Peraturan Perundang-undangan yang berlaku. Mendapatkan Pensiun sesuai ketentuan yang berlaku. “The Board of Directors, LPCK top executives, and related employees (including their spouses and minors) are prohibited from trading Company shares two weeks before the release of the Company’s quarterly and annual financial statements, and they are also prohibited to trade Company shares for 24 hours after the release of financial statements. 1. To outline all aspects necessary to build and implement whistleblowing system as a tool to govern the reporting of violations. 2. This Whistleblowing system applies to the interest of internal company that includes all employees, Board of Directors, and the Board of Commissioners. 1. This Whistleblowing System is one of the inherent supervision built by the Company in performing internal controls that are consistent and continuous. 2. To provide a formal channel for employees in helping to create corporate governance in a professional manner to achieve good corporate governance. 3. The existence of standards in the expression of aspiration helps the Company to eradicate any violation or potential violation. 1. To help the Company to improve labor productivity through eradication of all forms of violations and potential violations. 2. To reduce the Company’s losses through early prevention as a follow-up action from reporting through various Whistleblowing channels. 3. To improve the image and reputation of the Company that has good corporate governance (GCG). 4. To improve the Company’s ability to win the competition through increasingly efficient operational management of the company. 5. To create a more conducive climate and encourages all employees in reporting to the things that can cause financial losses and non-financial, including those that may undermine the values and image of the company. 6. To simplify management to deal effectively with all forms of report violations and potential violations. 7. To protect the confidentiality of the reporter’s identity and security information reportedly managed in a special data base. a. The company provides reporting channels such as: a written letter to Whistleblowing Team, Whistleblowing Box, Whistleblowing site at www.lippo-cikarang.com sub menu Whistleblowing; Email Address whistleblower@lippo-cikarang.com; and Whistleblowing Team starts from the Committee, Management, and Facilitator. All these whistleblowing channels will ensure each reporting by well-meaning reporter. b. A guarantee of the confidentiality of the identity of rapporteur who provide identity and information which can be used to contact the rapporteur if needed for clarification. c. The Company ensures information security and protection against actions of the reported or companies, in the form of threats of physical safety, psychological terror, the safety of property, legal protection, job security, pressure, delaying a promotion or a salary, demotion or promotion, unfair dismissal, harassment or discrimination in any for m, and harmful notes that in the employee files. The Company can give appreciation to every rapporteur who was contributing in an effort to help the prevention or capable of proving violation that can harm the company and to minimize the risk of the company significantly. The Company aims to establish whistleblowing system that can run professionally and that the company will give sanction to the complainant who send the report in the form of slander or false reports. Sanctions given follows the regulation that applies in the Company, and the Company will not guarantee the confidentiality and protection to rapporteur abusing the system whistleblowing system including criminal prosecution as well as related civil unpleasant acts or defamation. The company strongly protect the confidentiality of the report which was reported by the complainant, therefore, each report leaked by Whistleblowing Team will be given sanctions in accordance with applicable regulations. The Board of Commissioners is responsible as overseers of performance and effective implementations of Whistleblowing system in the company and its subsidiaries. Monitoring whistleblowing system implementation may be submitted to the Committee of the Board Commissioner. Whistleblowing Committee is chaired by the President Director and Talent Admin (HRG) Corporate Director is responsible for ensuring this Whistleblowing system can be implemented throughout the company and its subsidiaries. Whistleblowing Committee Chairman may appoint the members of the committee including the determination of the functions and duties of each member as well as future membership. The Committee Chairman shall ensure that all reporting followed until finished. The Whistleblowing Committee will appoint each year the Board of Directors or Senior Executive alternately who is responsible for accomplishing and socializing Whistleblowing system to the business units under its coordination. Each person in charge of a designated business unit is responsible for establishing each Facilitator in the division unit under its coordination. The Facilitator is responsible for socializing Whistleblowing culture to the units under its coordination. Each entry must be coordinated by the facilitators to be submitted to the relevant responsible person who hereinafter is the responsible to bring any of those reporting on meetings organized by the Whistleblowing Committee to determine the eligibility of the report to be followed up by the investigation unit. This investigation unit consists of Internal Control Unit (SPI) or the internal auditor, and assisted by HR Audit specifically for cases related to Human Resources. This investigation unit is responsible for investigating cases that have been assigned by the Committee to look for the facts, data, and processes that must be performed by internal auditor. a. Each report should be placed as the practice of Good Corporate Governance and Risk Management. b. The Company must receive reporting of violations and potential violations from the Rapporteur. c. The principle of the report should contain goodwill and not a personal grief on the policies or management practices or based on bad intentions defamatory and / or false statements that may impose a co-worker or defame / person’s reputation. a. Internal: Board of Commissioners, Directors, Senior Executive, and all employees. b. External: the working partner, supplier, customer, consultants, vendors, outsourcing, communities and other stakeholders. a. Violations reports or potential violations must be submitted in writing and shall include the identity of employees (for external parties with copy of ID and phone number) and pour chronological occurrence and if possible provide supporting evidence. b. Reports with no identity (anonymous) or anonymous letters will not be followed up by the Company. k. Others who support the creation of Good Corporate Governance. Rapporteur should have a concern in the reporting time, the faster the report will further facilitate the follow-up investigation, the longer reporting submitted will enable the loss of evidence when an investigation. Rapporteur is expected to transmit its reporting within a period of 2 (two) months after the incident occurred, and specifically for fraud cases a maximum of 1 (one) month after the incident occurred. a. Written letter to Whistleblowing Team, by direct transfer or by mail. b. Email address:whistleblower@lippo-cikarang.com. c. Company website: www.lippo-cikarang.com at the Whistleblowing menu. a. In the case of violations committed by members of the Board of Directors or the person who has a special relationship with the members of the Board of Directors or by the Whistleblowing Team, the reporting of a violation or potential violation must be submitted to the Board of Commissioners and if necessary can use independent investigator or an independent auditor. b. If the offense was committed by members of the Board of Commissioners or Whistleblowing Team, the report must be submitted to the CEO Corporate, which further handling of the follow-up is carried out by the Board of Directors and when required may use independent investigator or independent auditor. c. In the case of violations committed by the employee, then the report must be submitted to the Whistleblowing Team and then the Whistleblowing Team will decide whether or not to follow up or investigation conducted by the Internal Control Unit (SPI) or the internal auditor or by special audit HR for cases related to Human Resources. conclusions from each case that has been investigated. Results of these investigations allows violations or potential violations that exist and / or allow the case to be investigated further to others cases, or the results of these investigations turned out to be not proven or not enough evidence to support the do follow up. Considering the objectivity and independence, the investigation will be conducted by Internal Control Unit (SPI) or the internal auditor or by a special Audit HR for cases related to Human Resources. In sensitive cases or certain cases for example that must be investigated is Internal Audit (SPI) or the internal auditor or audit HR specifically, the Whistleblowing Committee can decide the investigation performed by other work units or investigator or independent auditor from external parties. The process of investigation must be free from bias and do not depend on who is reporting or who is the reported and have presumption of innocence first. The reported must be given full opportunity to provide an explanation for proofs given against him, including the defense if needed. Results of the investigation will be returned to Whistleblowing Committee for further action. If the result of the investigation shows positive violations or potential violations therefore the violator will be given applicable sanctions even for civil or criminal cases can be forwarded through reporting to the authorities which will be coordinated with the Company’s Legal Division. Disclosure of information has been an important element of Good Corporate Governance. The Board of Directors of PT Lippo Cikarang Tbk (“LPCK”) has regulated the Disclosure Policy that applies to shareholders, investors, public, and other stakeholders. The disclosure is to ensure that the disclosed information is legitimate, accurate, correct, and clear. Information of LPCK in various method such as in writing, verbal, by telephone, internet, press releases to journalists or investors (press conference), teleconference, or any other kinds of method used by government agencies or other persons to give information to the general public are all covered in this Disclosure Policy. Disclosure of material information that has not yet been released by the Company to the public must be informed correctly, accurately, carefully, and completely. The disclosure is so that investors and shareholders receive complete information easily, adequately, and conveniently. The information should be provided in LPCK’s website and the timing must be prudent as well. Disclosure of information that is ‘Forward-looking’ or anticipated regarding on the direction of the business and the forecast of the Company’s future operations should be made cautiously. Disclosure of material information that has been disclosed to the public (Material Public Information) should be made clearly and accurately to avoid any confusion. Subsequent information regarding Material Public Information should be clear and consistent to avoid any confusion or miscommunication of the previously disclosed information. Disclosure of other material (Non-material) should be made truthfully without any intention to mislead others from the actual financial status, stock prices, or operational performance. Disclosure of information should not lead into assumptions that the stock price will rise or fall. Disclosure of information that might have an impact of the business should be undertaken with such care. The regulation of BAPEPAM Rule Number X.K.1 : Disclosure of Information That Must Be Made Public Immediately, Attachment : Decision of the Chairman of Bapepam Number : KEP-86/PM/1996 Date : January 24, 1996 states that every Public Company that has been registered and become effective, must inform Otoritas Jasa Keuangan (“OJK”) and disclose to the public as soon as possible, no later than 2 (two) days after the decision or changes in Information or Material Facts that will affect the share value of the Company or Investor’s decision. A change in the Company’s fiscal year. Persons designated by 1, 2 or 3. LPCK is very strict and careful in keeping material information or other related information so that it will not be released before the designated date, especially during the two-week period prior to the disclosure date. No employee is allowed to disclose any information at any time unless designated by the CEO, and the President Director of LPCK. The Company participates in a multitude of ways to improve the welfare of our surrounding communities. 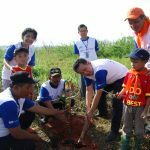 We realize that the communities living nearby are also stakeholders, who have their share of contribution to the Company’s business sustainability. 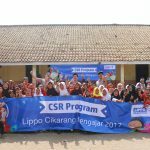 Lippo Cikarang’s CSR activities generally aim to make the best use of Company’s competence in providing optimal benefits to all stakeholders as a manifestation of its social responsibility. 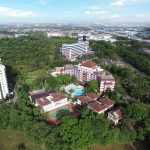 The Company has a mission to promote and apply environmentally friendly and natural concepts within all of its project developments and city management activities. Anyone who walks across our township will clearly see the application of this concept through industrial, commercial and residential zones, which reflect well-conceived planning. delegation from the Department of Forestry and Agriculture Regional Bekasi. the third step is to plant them in the open area. level during the dry season and keep the air temperature stable. Basically, the basic philosophy of Labor, Health and Safety (K3) is to protect the health and safety of workers at working areas that would impact the Company performance, whilea comfortable and healthy work environment makes employees feel more productive. Therefore, the Company continues to encourage a safe, comfortable, and healthy work environment. The work health and safety team applies work safety standards at offices and project locations. Employees guarded and equipped with knowledge on how to operate equipment as set in our planned standard operation procedures (SOP). 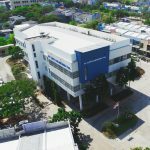 The Company also provides P3K boxes on each floor of buildings, carries out fire and evacuation drills as well as routine and periodic site inspections. Buildings are also equipped with an emergency staircase, with fogging for mosquitos done every two weeks to reduce risk of dengue fever. Lippo Cikarang also insures all employees under programs of BPJS Employment, BPJS Health, Pension Fund Pension Fund of AIA and under the Private Health Insurance Program of Lippo Insurance. The Lippo Cikarang holds a JalanSehat (a fun walk) to educate employees on the need adopt and keep a healthy lifestyle. we have coordinated cooperatively with local civil servants for this program. attended also by the Regent of Central Cikarang, Head of Village, and Secretary. compare to the prioryear and a team of more than 300 instructors and teachers in this program. employees who participated in the program, 200 received assistance in the form of reading glasses. for all employees of tenants. In 2015, the event was held twice, on February 25, and October 8. Each year Lippo Cikarang holds Breaking of Fast (Iftar) and Joint Christmas Celebration within our premises. a visit to the orphanage “Rumah Kita” at Kedungwaringin of Gedung Gede, Kedungwaringin village. handed over on June 16, 2015, in an event attended by The Regent of South Cikarang. Bandung on April 1, 2015 for a field study. Cikarang provided this opportunity to 12 students. The Company is fully committed to consumers as can be seen in its customer values. The Company has responsibilities towards its consumers covering several aspects such as pre-sale service, product quality and after-sales service. For each aspect, our Company provides a means of support, including the provision of channels that can be used by our customers to communicate with the Company and give their input. This communication channel provides convenience to consumers and helps us maintain product quality as well as facilitates good relationships with our customers. 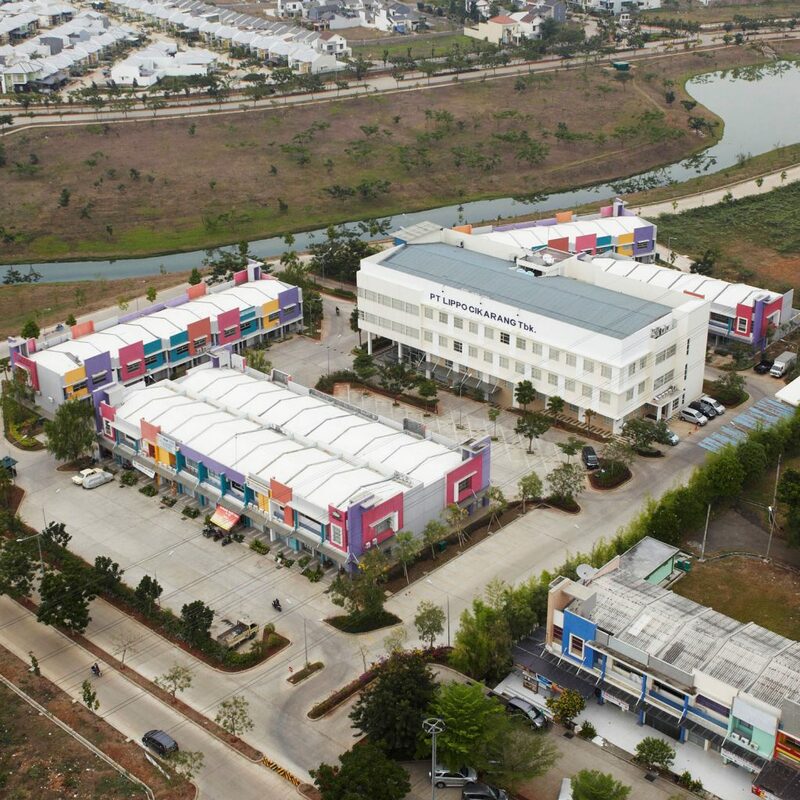 In this area, Lippo Cikarang optimizes the utilization of information technology. The Company regularly holds gatherings for its industrial tenants to inform of activities and events that will be held either by the Company as a property developer and to socialize regulations and policies that have been enacted by the Government. Through a 24-hour dedicated phone line (021-899-08911) residents can access assistance within the Lippo Cikarang Region. Meanwhile, suggestions or complaints can also be sent online to the Customer Service team through cs@lippo-cikarang.com.